Life is Strange is a dramatic adventure about two teenagers investigating crimes. The game’s main feature is the unique twist of controlling time. 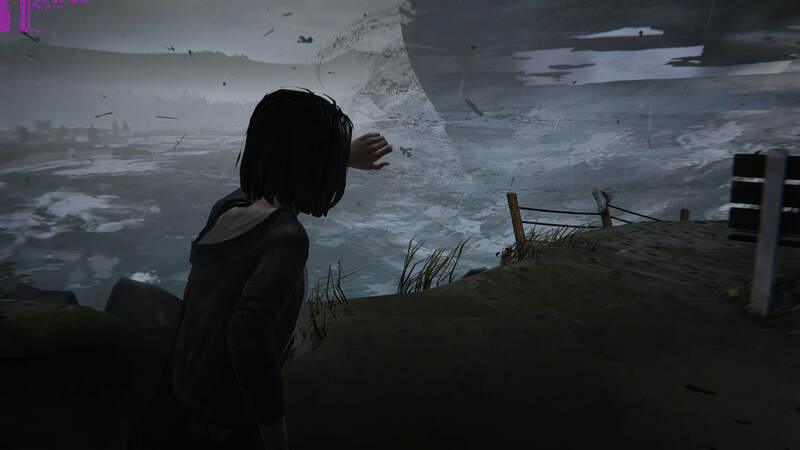 With the upcoming prequel Life is Strange: Before the Storm, we asked ourselves the question, if the original game is a worthwhile visit. Let’s figure it out! 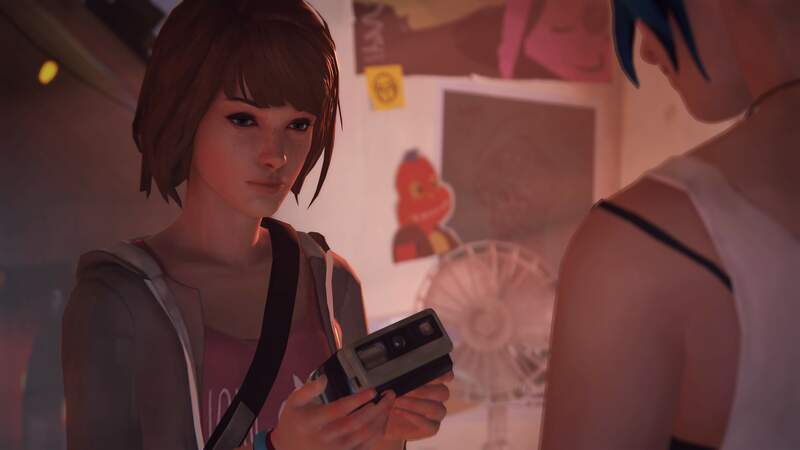 In Life is Strange you play as the troubled teenage girl Maxine Caulfield, short Max. After moving away 5 years ago, she is now coming back to Arcadia Bay to visit an art school, as she is all into photography. Suddenly, Max is starting to have weird and realistic-feeling visions. Soon afterwards, she discovers in a clutch scene that she gained the ability to move backwards in time. The game very heavily focuses on this mechanic over the whole playthrough. It opens up the story to alternate timelines, and allows Max to use her powers to help people or to just to have some fun. Accidently, Max reunites with her childhood friend Chloe. 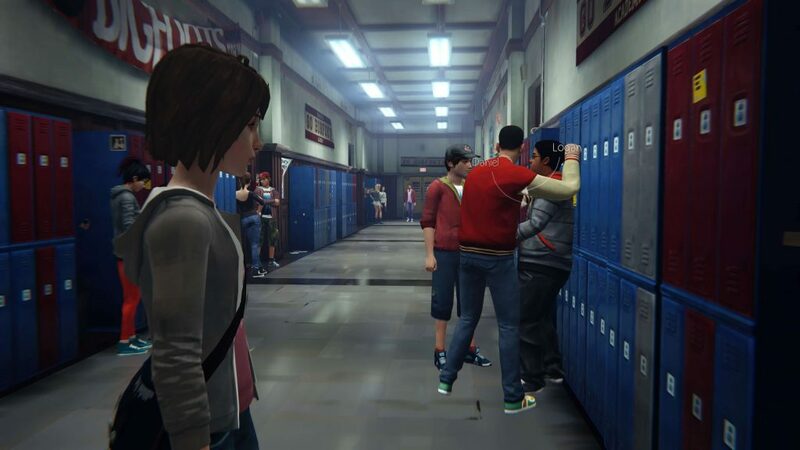 Without going much into spoilers, the story-heavy nature of the game focuses on rekindling the friendship between Max and Chloe. While doing so, they are investigating a case of a missing girl from over six years ago, some drug related incidents and Max’s visions. While the story in the first few episodes mainly focuses on some teenage drama and feels a bit stretched out, it does a good job introducing you to the game’s characters and setting. The amount of drama can be a bit overbearing though, but especially in the later episodes, the story picks up heavily on pace and becomes very tense. It has a lot of unexpected twists and becomes touching, since the game does a great job in making you care about its characters. Your choices influence the story, opening the option for multiple interesting playthroughs. 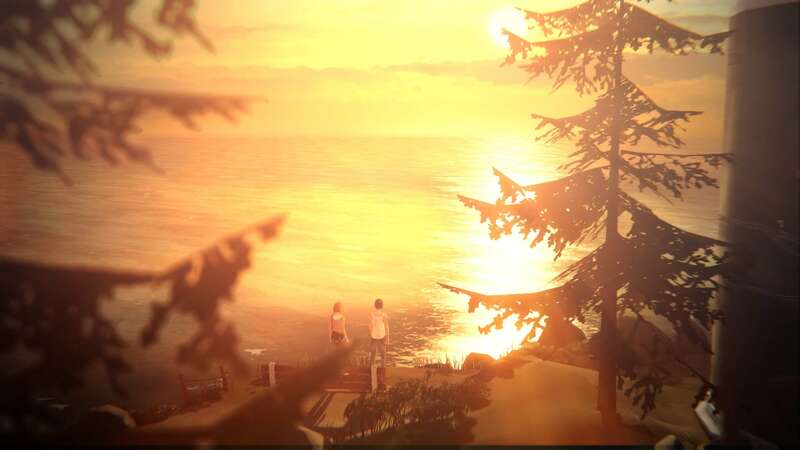 As an adventure game, Life is Strange focuses heavily on storytelling, while giving you lots of choices and dialogue options. You might think that the choices will be easy. Due to having the ability to reverse time, you could instantly fix any wrong move. However, the game does a great job in making it difficult for you, forcing you to carefully weigh the ups and downs of every choice. You hear Max’s thoughts after every major choice, questioning the turn of events, all the while further immersing you into the character. However, you and Max will soon learn that most actions in this game have long-term consequences, which can be quite fatal. Outside of the dialogues, the game lets you traverse closed-off sections related to the story. Carefully looking around lets you hear Max’s thoughts about outstanding objects, giving you a strong feeling for the playable character. 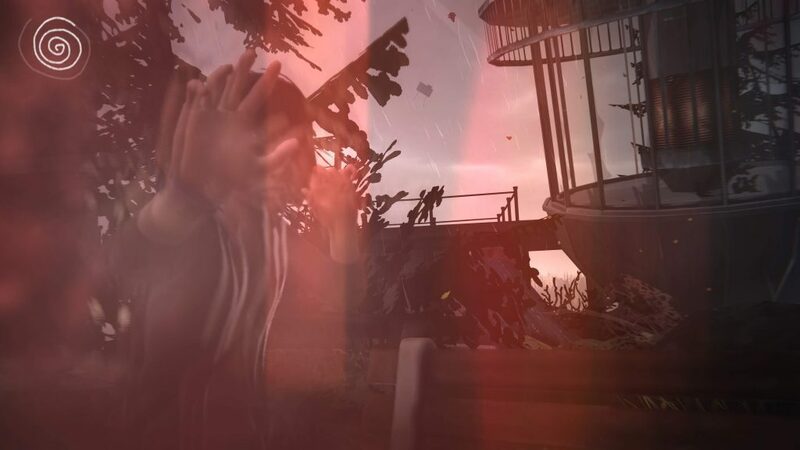 The game uses its time rewind mechanic throughout the whole game. You can use the knowledge of what’s going to happen smartly to your advantage. For example, in the very early stages of the game, there is a group of girls blocking your way. After investigating the scene and the move of events, you can start a chain of happenings. This ultimately forces the girls to move into a specific spot, where they get hit by a manipulated paint can of a worker, opening your previously closed pathway. Further, Max is able to keep any items and knowledge that she collected when she reverses time, while also staying in the same position. This opens up a lot of interesting puzzles. It also allows many cheesy ways to interact with characters or to obtain or to steal items. For example, it lets you trump a conversation in your favor by using your obtained knowledge from the previous interaction with the person, or by just avoiding certain topics. Overall, the game plays more like an interactive movie and can remind you about games from the Telltale series. Similarly, while the choices do have an impact, the overall storyline and pathway are the same. However, the game still manages to make them feel very meaningful. Further, the game implements all of its mechanics very well and uses its unique time reverse mechanic consistently in very interesting ways. This ultimately gives you a very compelling, rich and unique experience. While the game leaves a very good impression with its unique story and gameplay, it’s lacking in the technical department. The models could be better and more detailed. The game especially lacks in character animation and even lip sync for its otherwise well-made voiceover. For an adventure game that so heavily focuses on dialogues, the game could have used some more love in that direction. Especially the stiff character faces could have been improved. The environments and textures could have used a higher detail level as well. Further, we still noticed occasional framerate and performance drops. However, the game makes up a bit for its technical shortcomings with a good consistent style throughout the whole game. Additionally, it uses the soundtrack and viewing angles very well to supplement the emotional scenes. The whole game has a good atmosphere, which still lets you immerse yourself well. Especially with its price level and development budget, the resulting technical limitations are understandable. As Red Value Gaming, we try to review games a bit differently to others, by giving a second review score in form of a monetary value. With this value, we try to give you an objective measure of the content of the game, which is evaluated separately from the review score we give to the game. The game is sold in five Episodes at $4.99 each, with the first episode being free. For this review we will consider the MSRP of all five Episodes combined at $19.99. With a play time of around 12 to 15 hours and a good replayability, we think that Life is Strange offers a very unique experience at a very fair price. Further, it allows you to demo the game for free with the first episode and lets you decide if it’s a worthwhile experience for yourself. Therefore, we value the game at $19.99. 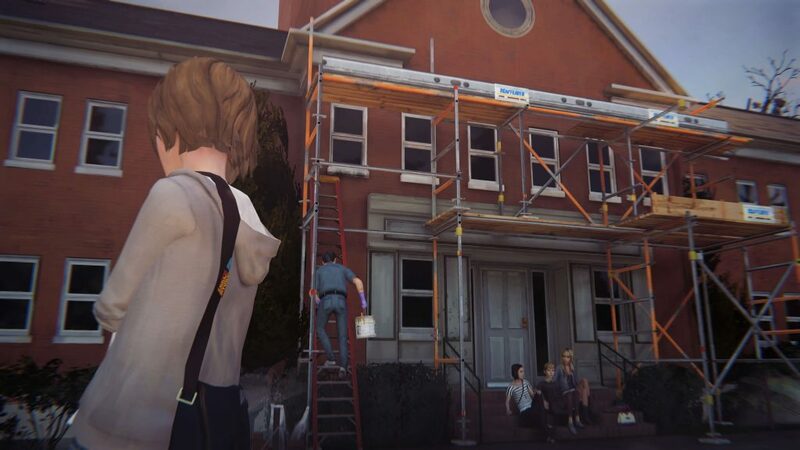 Life is Strange is a great, drama-heavy adventure game about investigating a crime. It has a slow start, but overall tells a very interesting, tense and touching story, while using its unique time rewind mechanic in all areas of the game really well. Your choices are hard and have a direct impact on the overall story. Further, it does a great job making you care about its characters. 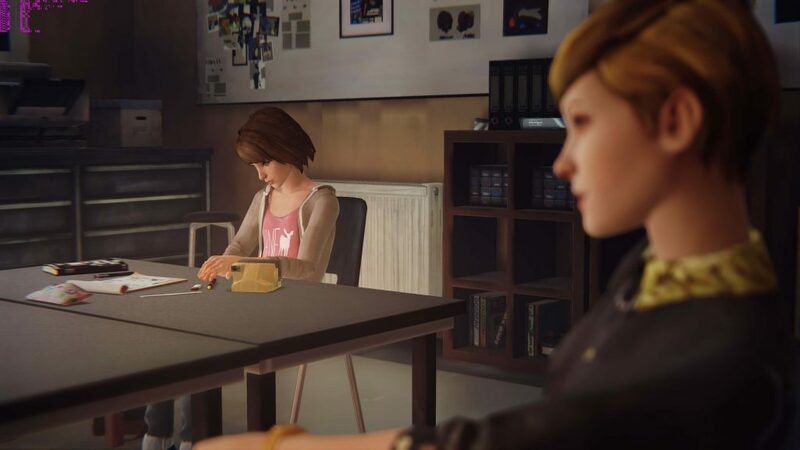 Even with its technical limitations, Life is strange is a very compelling experience that we can recommend to any adventure game lover, who can deal with a little overbearing drama once in a while. 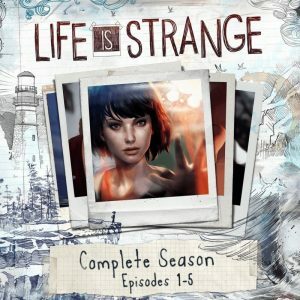 Life is Strange is a great, drama-heavy adventure game with the unique twist of controlling time. The story is touching and ultimately gives you a very compelling, rich and unique experience, which is a worthwhile visit.